When I was young I thought I knew everything. I thought I knew exactly what I wanted, and thought I knew what exactly my future would hold. I was never going to have children. That so changed when my nieces came into the world, ripping apart what I thought and making me feel completely different about kids. I was never getting married. Not only did I not think I would never find someone, and that I would be alone for most, to all, of my life, I thought I would just never feel like it was necessary. Well, when I met Joe, that all changed. I realized that I actually found someone who I wouldn’t mind having that piece of paper with, I actually want to be tied to this man for the rest of my life. When I came to the realization, I felt it was necessary to talk to Joe about it. We had both said when we started our relationship that we wouldn’t be getting married, but if we decided to spend the rest of our lives together, we could just do it with out all that. Which then brings me to a new chapter of our story. We went on a new adventure. 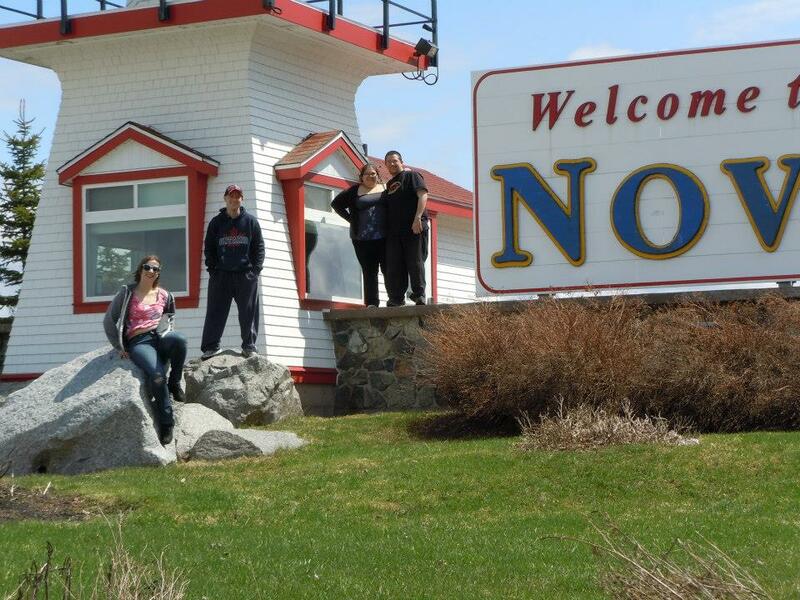 We went to Nova Scotia! Joe, my best friend Elena, and Joe’s cousin Mike all piled into Elena’s car and drove (just for the weekend) all the way to Nova Scotia! It is an amazing and beautiful province. Seriously, if you can, please go visit. We stopped at the information centre, and Elena talked to a lady about where we should go and show the boys the ocean, the most beautiful body of water (which I have a sort of love affair with). 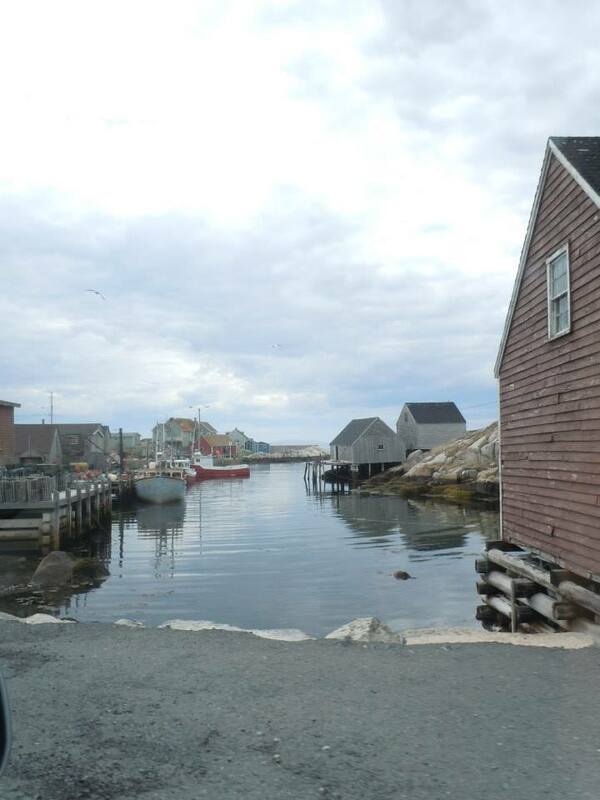 After a lot of debate, and figuring out where exactly we were going to stay for the one night, we had it all figured out – we were on our way to Peggy’s Cove. After 1-2 more hours of driving, we finally arrived at our destination. We all got out of the car, done our journey for a little bit. Me and Elena then took off, quickly made our way up the rocks while the boys lagged behind. I wanted to see my ocean! I had missed it since we left P.E.I. last summer and I wanted to see it now! I got to a beautiful spot and sat down waiting for Joe. Because I know how nervous he is around heights, I didn’t sit too close to the edge. When he finally got to the top where I was sitting, we sat and cuddled for a little while enjoying the breathtaking view. But Joe was shaking like a leaf! I thought it was the height and the slight (15-20 ft) drop onto more rocks. 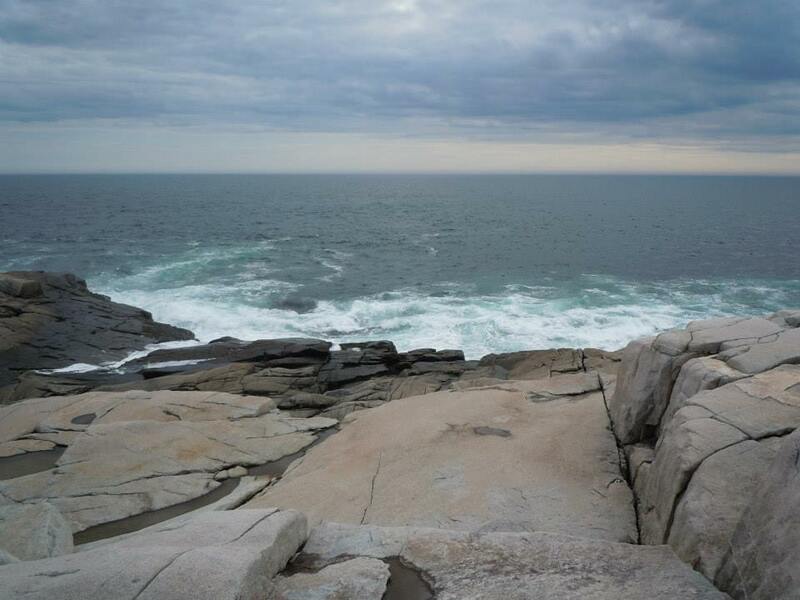 Or the fact that the waves have been know to engulf the rocks we were currently sitting on, and we could then be dragged out into the ocean. “I know,” he said, his voice shaking too. I just cuddled in closer, hoping that he would stop being so nervous. I mean, there was nothing to be afraid of! Nothing bad was going to happen! Then I decided to be a smart a**. “You know, it is so beautiful up here, it would be an amazing place to propose!” I said, cheekily nudging him. We both laughed and hugged and kissed. I just kept thinking that this can’t be true! I can’t be so lucky! Meanwhile, Elena and Mike were in on it of course, so they grabbed the champagne Elena had brought and we toasted to our future, and to the amazing moment they all helped make possible. I get to marry one of my best friends! And I couldn’t be happier or more overjoyed! I clearly know nothing about the future, and as long as I can face it with him, I don’t care. 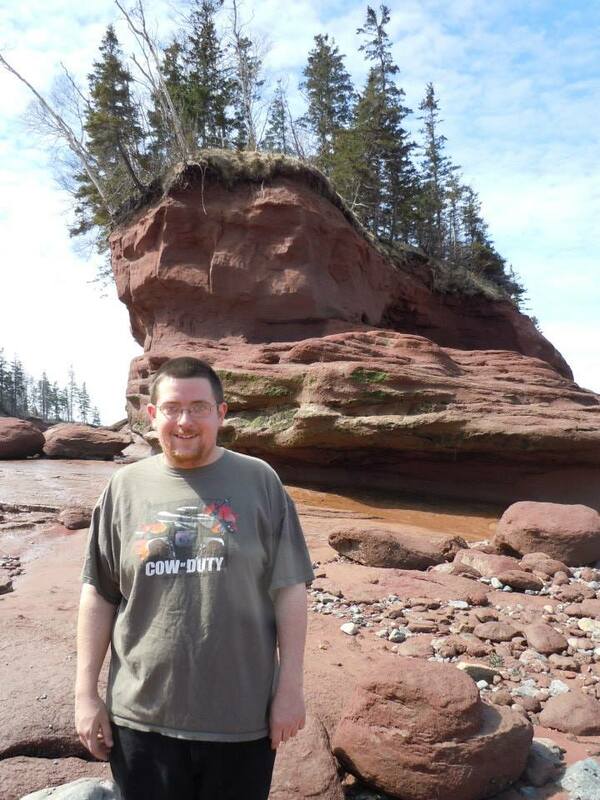 Joe on the ocean floor at the Bay of Fundy. My Fiance!